The Best Caravan Cover Provider award goes to… us! Over 24,000 of you voted in the Insurance Choice Awards this year, naming us the 'Best Caravan Cover Provider' for 2018. The Insurance Choice Awards are held by Smart Money People who are a financial services review platform. Now in their third year running, they help to bring about trust and transparency in financial services. 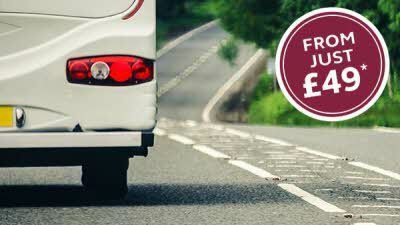 Starting from just £49 per year, our Caravan Cover protects your caravan against theft, loss, or damage and operates in a similar way to caravan insurance. We only offer our cover and insurance policies to members, though you can still get a quote if you’re a non-member. Club membership will enable you to take out cover, as well as enjoy all our other member benefits. On 4 October at Café de Paris, comedian Paul Tonkinson was there to present the awards. 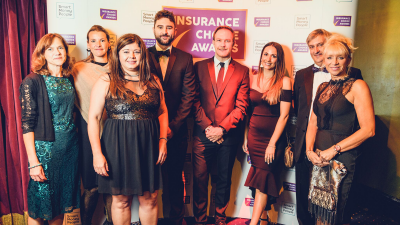 Our own Director of Marketing, Harvey Alexander, says: “We are delighted to have been recognised again by the Insurance Choice Awards, this time for our excellent new Caravan Cover. The Club has over 50 years’ experience of creating policies for our million-plus members, which we tailor to reflect their ever changing needs so it’s really rewarding to receive another award that was voted for by them."